Figrative Scene is a painting by Gayatri Maheshwari which was uploaded on January 13th, 2010. 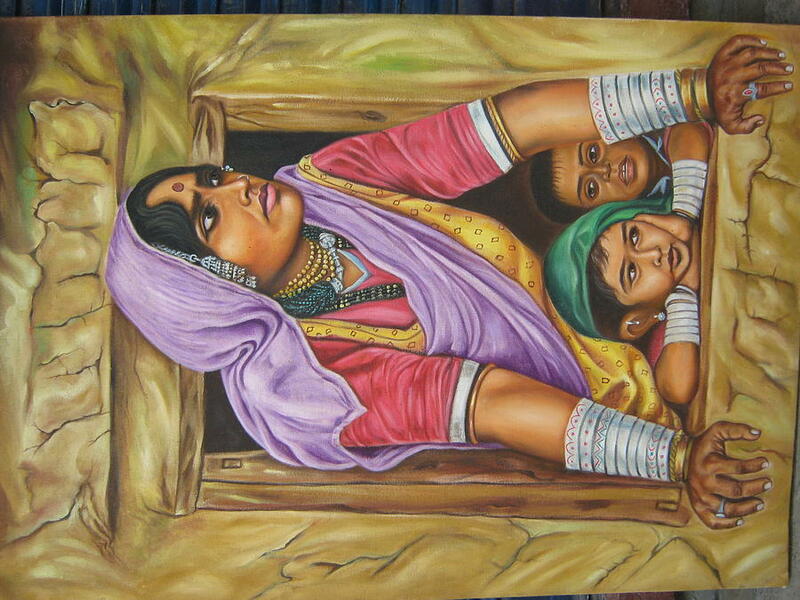 This is the painting of village.In this paiinting one village lady and two children looking outside the window. 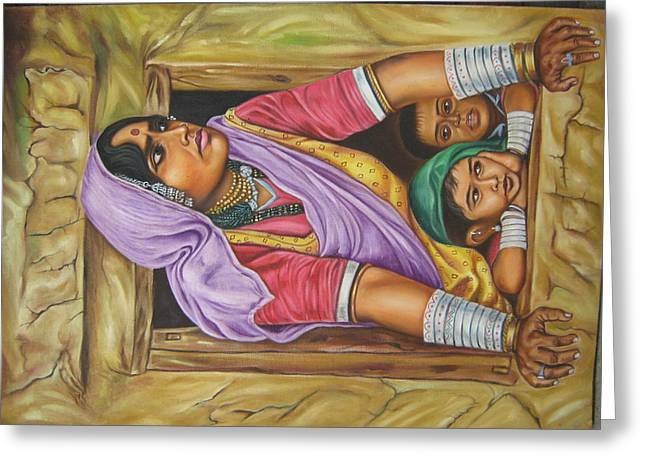 Nice painting of Lamani woman & kids....please take care of turning angle while submitting.